What a night it was at the Western Australia Tourism awards for 2013. Dr Dave and Out of Sight Tours were awarded 2 gold medals at the gala dinner awards night in Perth which was attended by over 900 people. 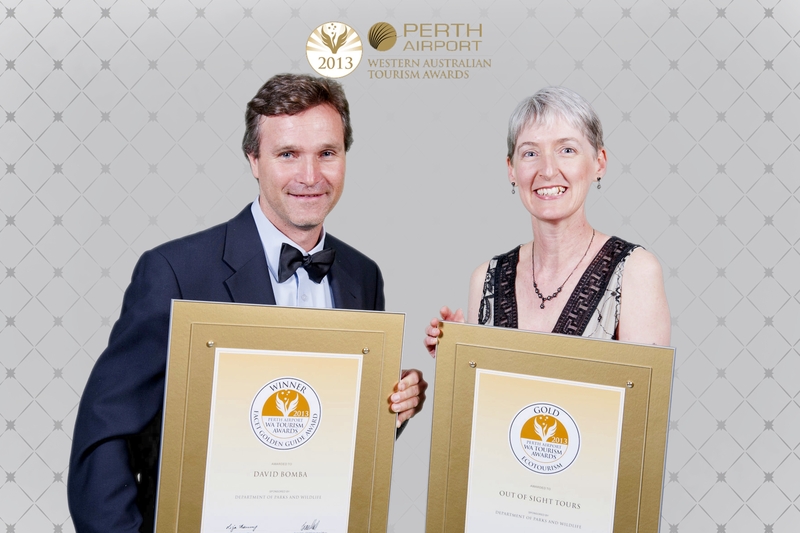 A gold in ecotourism and another gold for being recognised as the FACET Golden Guide for 2013. A big night for Dr Dave and Lenore Lyons, the CEO of Out of Sight Tours. Lenore described the wins as a testament to the vision and efforts of the brilliant team at Out of Sight Tours, and the founder and lead guide, Dr Dave, aka The Adventure Doctor. « What is our most popular tour of all time?